Robert Callis-Keiser III, 25, faces charges that include possession with the intent to deliver and criminal use of a communications facility. Three months after seizing more than 40 pounds of suspected drug-laced candy from an apartment at West Chester University’s South Campus, authorities said laboratory tests confirmed the presence of THC, an active chemical ingredient from marijuana, and the Chester County District Attorney’s Office announced an arrest. 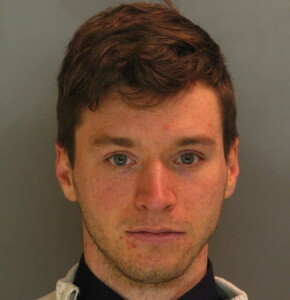 Robert Callis-Keiser III, 25, of Johnstown, formerly a student at West Chester University, surrendered to police on Thursday, Jan. 9, on charges that include possession with the intent to deliver, a news release said. Gaza said the West Chester University Police Department has been working on the case since the initial seizure of the candy. “ We are now in a place to proceed with the charges against the defendant,” he said. The investigation started when police found several West Chester University students in a car on campus, with the smell of marijuana coming from the car. The police then worked backwards from questioning the occupants of the car all the way to the apartment on South New Street, where the police recovered the candy, the release said. The drug-laced candy varied in size from small hard candies to candies the size of a small orange and was wrapped in groups of plastic bags for easier sale and distribution, the release said. Callis-Keiser, who was suspended from the university after the suspected contraband was found, was arraigned before Judge Jeffrey Valocchi, who set bail at $25,000 unsecured and scheduled a preliminary hearing for Jan. 22, the release said. The case has been assigned to the District Attorney’s Drug Unit for prosecution. Anyone with information is asked to contact West Chester University Police Department at 610-692-5100.